Growing food isn't easy. It takes land, labor, water, fertilizer, and more. So why does 40% of food in the U.S. go uneaten? In this radio special, host Jed Kim and the Water Main team dig into the issue of food waste and taste test some possible solutions. Wasting food means wasting all the resources that went into that food—work, water, fertilizer and more. Jed visits Petty Ranch in California and talks to food waste expert Ned Spang to learn how much we let food go uneaten. Sell by, use by, best by…date labels on foods can have a dizzyingly large vocabulary. Do all these terms really mean anything about food safety? Annie Baxter joins Jed to explain how to sniff your way out of date label confusion. Need a way to fight food waste in your household? Grab a bucket! Tara Haring tracks her family’s food waste by tossing uneaten scraps into a plastic bucket that she measures weekly. By encouraging each other to clean their plates—and avoid using the bucket—Haring’s family has cut their food waste in half. Restaurants have plenty of opportunities to trim their food waste, from better timing their food deliveries to fine-tuning batch sizes when preparing meals in bulk. Liz Goodman, director of food loss and waste at the World Resources Institute, explains that saving food is more than ethical—it’s economic. Whey is a liquid byproduct of yogurt making. Most dairy companies treat whey as waste—even paying to dispose of it. But whey is perfectly safe to eat. And nutritious! Homa Dashtaki, founder of The White Moustache yogurt, tells The Splendid Table host Francis Lam how she’s trying to turn whey from waste to windfall. A new generation of internet-connected fridges promise more than just cool food. You can check your inventory remotely by phone, stream videos on the fridge’s touch screen, and order new groceries at the touch of a button. But will these smart appliances really bite into the mainstream refrigeration market? And can they actually help reduce food waste? To find out, Jed talks with Ry Crist, senior reviewer for CNET. The Maryland Food Bank aims to provide not just free meals, but permanent pathways out of hunger. Heather McElhatton explores how their culinary training program is changing lives by teaching students to cook with 95% donated food. Each year, grocery stores in the U.S. throw away 40 billion pounds of food—much of which is perfectly edible. In this story we hear from some dedicated dumpster divers who refuse to let all that food go to waste. Banana peels don’t have to be waste—they can be ingredients! 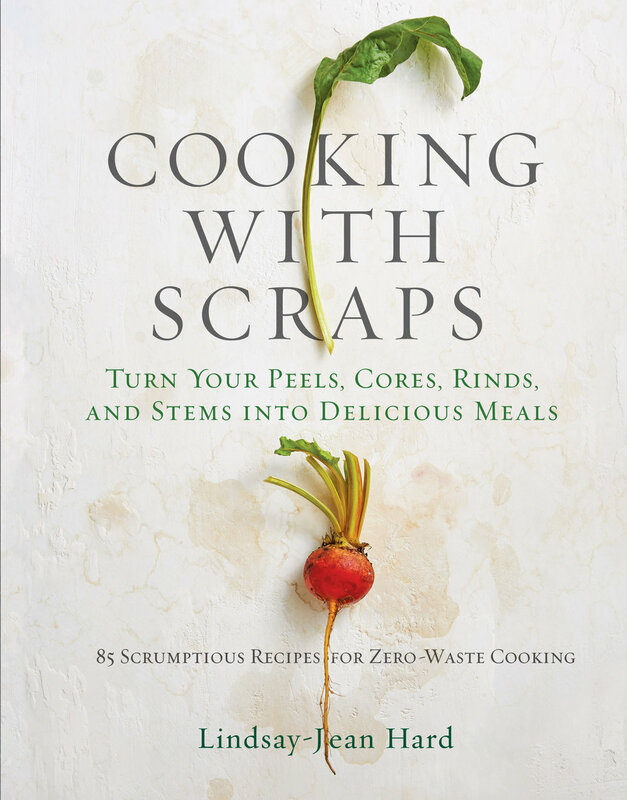 Lindsay-Jean Hard, author of Cooking with Scraps, shares some delicious tips for making the most of the food you buy at the grocery store, from baking banana peel cake to mixing beet peel margaritas. You can check out those two recipes here! Sound effects provided by toadpuppy and unfa (CC BY 3.0), and by Julien Matthey (CC0 1.0). Get the latest stories and event information from the Water Main team.